The final round of the Riverina Cup saw the two leaders from round 2 take out their respective Junior and Senior titles for 2016. 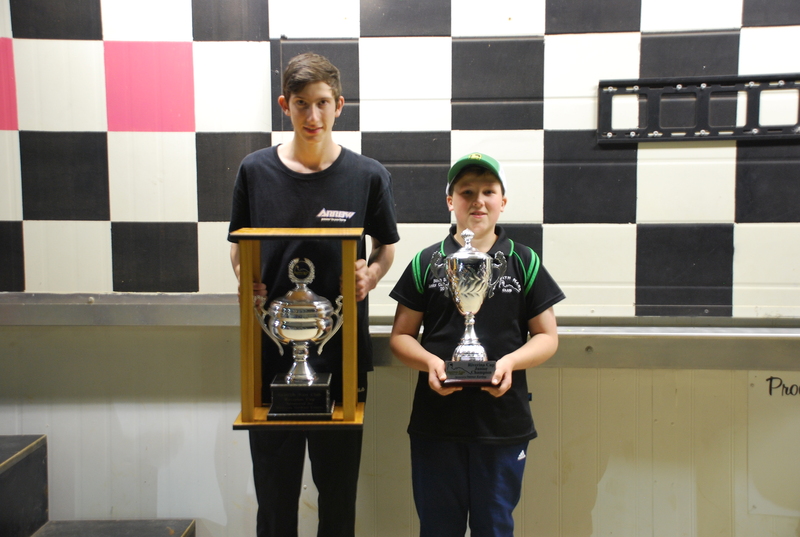 With thanks for the continued support of Gary & Scott Rapmund from Riverina Go-Kart Centre who sponsored the Senior Trophy and Kris Centofanti from Intense Karting for sponsoring the Junior Trophy. The series is run over three race meetings and provides great competition and brings together drivers from all over the region. There are two categories, Senior & Junior and each winner is presented with a perpetual trophy they is kept for the year and returned when the series is run the following year. Round 1 was held on August 6th, Round 2 September 17 and Round 3 October 15, 2016. The junior category saw Noah Sands continue his great form to take the win in the final round and cement his position as the number one junior during the Riverina Cup. Noah drove very well and is developing his driving skills to a very high level. 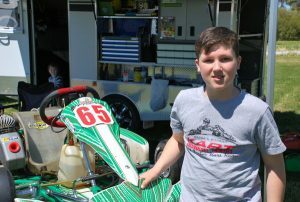 He his a Griffith Kart Club member and competes in a number of series during the year including the National Titles. It is great to see he supports Griffith Racing and local competition. The senior category was won by James O’Callaghan who started racing in 2015 as a senior having never driven karts before. He has honed his skills over the last year competing in the Southern Star Series and also supporting Griffith Club events and travelling to Wagga to race. 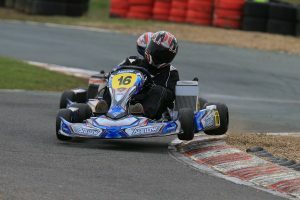 He completed a clean sweep of the series with outstanding driving against some tough competitors. The Griffith Kart Club welcomes any new members and encourages karters of all ages to join and participate. If you wish to find out more then contact us today!